At Play On Courts, we have extensive experience installing court surfacing solutions specifically for recreational and competitive volleyball. We offer a wide range of surfacing options to choose from and our team of experts will help you choose the best solution to meet your needs. From traditional hardwood volleyball courts to synthetic and modular court systems, Play On Courts can install volleyball courts that will match your current or future activity requirements. All of our volleyball court systems are built to last and we offer industry competitive warranty and maintenance agreements. Our most popular option, Play On Courts installs high-quality american-made hardwood volleyball courts from Connor Sports Flooring. Connor hardwood volleyball courts are exceptionally durable, and provide exceptional forgiveness to protect players knees and joints during competitive play. 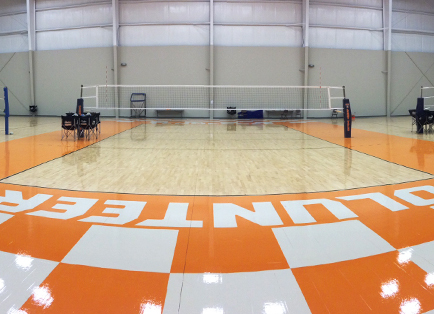 Synthetic flooring is a cost-effective alternative to hardwood volleyball courts. 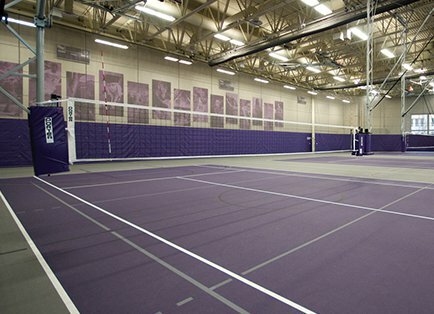 Constructed using seamless pour and pad urethane surface, synthetic volleyball courts provide excellent grip and forgiveness for outstanding overall playability. Synthetic surfaces are also highly durable and, if the need arises, can be repaired relatively easily and cost-effectively. 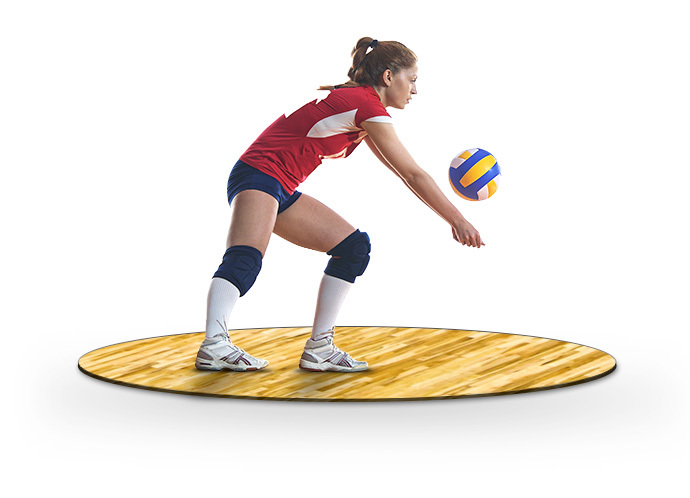 Modular court tile surfaces provide another cost-effective alternative to hardwood volleyball courts. 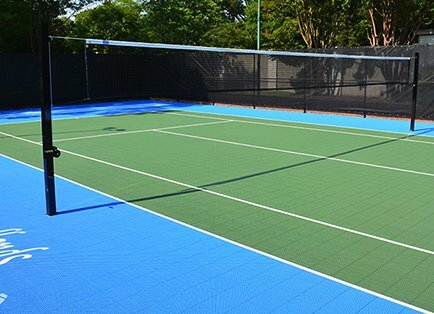 Indoor/Outdoor court tile systems from VersaCourt produce a virtually seamless playing surface that provides exceptional grip and forgiveness to keep athletes safe.